DIS 2005 is the 13th in a series of annual workshops on Deep Inelastic Scattering (DIS) and Quantum Chromodynamics (QCD). The aim of these workshops is to review the progress in the field of DIS and QCD and to discuss and lay the groundwork for the future. 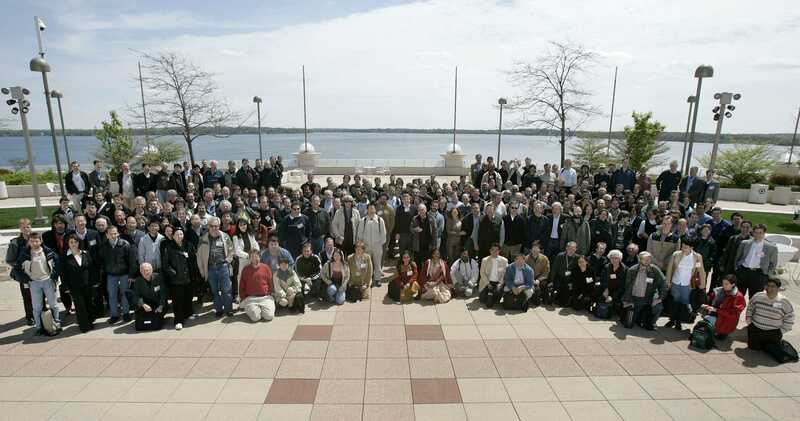 DIS 2005 brought together 280 experimentalists and theorists at the Frank Lloyd Wright Monona Terrace Convention Center in Madison, Wisconsin, U.S.A. The workshop began April 27, 2005 and ran through May 1, 2005. The workshop format involved plenary sessions with review talks and parallel working group sessions with shorter contributions. The 2005 workshop was hosted by the High Energy Physics group of the University of WisconsinMadison Physics Department. The workshop was followed by the 2005 Phenomenology Symposium May 2-4 at the University of WisconsinMadison. FOR ALL WHO PARTICIPATED AND CONTRIBUTED: THANKS! DIS 2006 will be held April 20-24 in Tsukuba city, Japan. DIS 2005 has been registered with the U.S. State Dept. to aid in visa applications. Visa applicants should consult this link and the information on this page concerning arrangements for visas for DIS 2005.